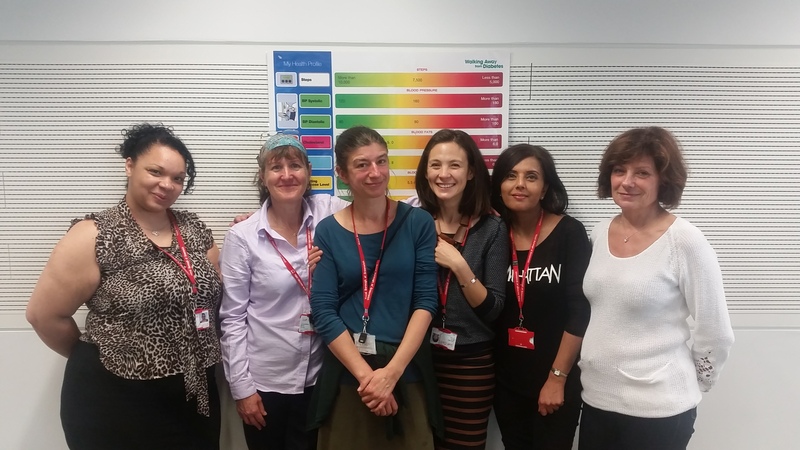 A new diabetes service, the Surrey Downs team is made up of experienced DESMOND Educators who are helping to train up new members. The adaptable team are proud of the fact they have taught in all environments, including church halls, education centres and medical centres. They say they can work wherever there’s an empty room, which is why they always arrive laden with all the resources they could possibly need to help boost inspiration wherever they are. As a team they run courses in six different areas across Surrey including Tadworth, Leatherhead, Dorking and Cheam. 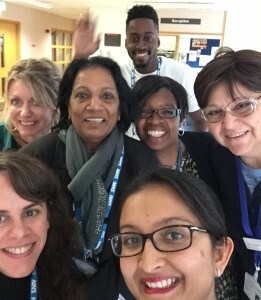 They are an enthusiastic team who enjoy working with all the different patients they see from all walks of life, nationalities, ages and backgrounds. Very often they arrive as strangers and leave as friends, which the team are proud of. Through the guidance offered from the Surrey Downs team, the participants very quickly learn to support each other.